If you’re a fantasy sports junkie or just a sports fan who can’t understand why everyone has to be so “player-conscious”/sensitive and change how players rehab injuries or take on workloads, then you might feel like me. And it makes sense to a certain point. These guys have crazy injuries that they don’t want to re-aggravate to waste more time and money. But when will it end? If you like fantasy baseball then it’s pitchers and if you like fantasy football it’s pretty much anyone (but mainly running backs). The death of the inning-eating ace has left baseball with a dilemma in fantasy as well as reality for the teams potentially looking to upgrade as the trade deadline approaches. Conversely, the NFL has few answers to the various injuries short-term and long-term (brain-related) that plague many players and are a main cause for early retirement. Last year the NFL players that went down with big injuries included Le’Veon Bell, Arian Foster, Jamaal Charles, Justin Forsett, Dion Lewis, LeSean McCoy, DeMarco Murray, Devonta Freeman, Todd Gurley, Chris Johnson, Marshawn Lynch, and the list just keeps going on. Some of those players left a gaping hole while others just gave the opportunity for the RBBC (running-back-by-committee) to take effect. Some teams already used the tactic while a few teams with elite backs still looked to one guy that carry the load, both figuratively and literally. And yes, the NFL has changed. There’s many passing, more plays in general, and even the best athletes in best conditioning need a breather. But a 50-50 role? Still, it certainly beats seeing the top tier guys going out after a season or two. It’s funny, when Barry Sanders retired after 9 seasons we thought it was too early. Now you’re lucky to get that many years out of an organization-defining running back. Then you have pitchers in MLB getting slowly brought along. Young guys not pushing pitch counts and older guys coming back for injury not pitching more than 4 innings evening with 9 strikeouts (Yu Darvish recently). And so many guys seem to have the same injuries over and over (Matt Harvey). So it makes sense to be cautious. And the technology for seeing these injuries is unquestionably better, but maybe that hurts the short-term prospectus of a player. My guess is a lot of dudes know they are hurt and need surgery, but if no one knows and they can continue to put a good product out on the field then they will do it. Cortisone shots aren’t going to cure a dead arm and neither will pitching through anything like that, but the big names that are going down with injuries are just staggering. 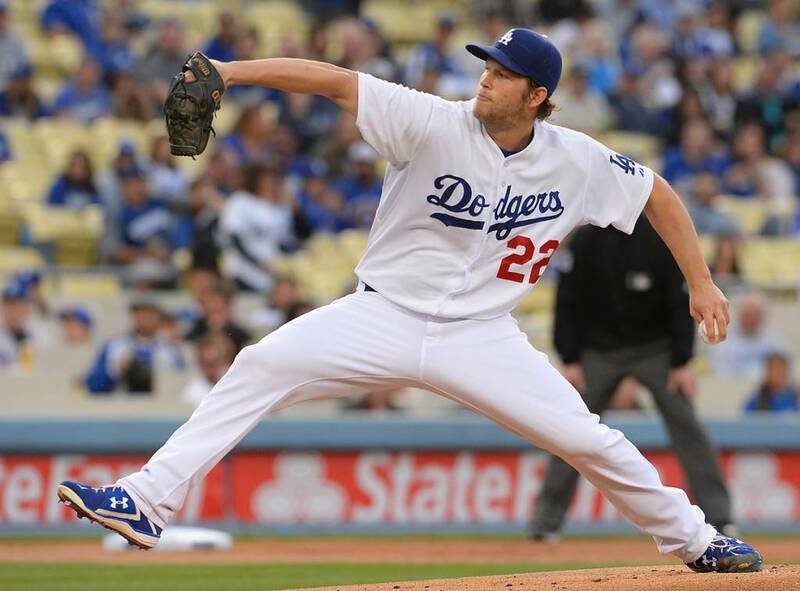 What do you do with Clayton Kershaw? He might be done for the year. Zack Grienke just started to get things going and now he’s shelved for a bit longer. Gerrit Cole has been in and out of the clubhouse with different ailments. Meanwhile guys coming back from injury (or who are injury-prone) like Jose Fernandez, Justin Verlander, and Stephen Strasburg are avoiding the injury bug. Whatever way you slice it, injuries are big concern in fantasy sports as well as the real world. Drafting guys that only make it half the year or a few weeks into the year is a killer. Having those same guys (or being lucky enough to pick up the next big thing) at the end of the year might be the difference in a championship. But can you stick around that long? In fact, can any of these players stick around that long?